Planning a vacation this Summer? 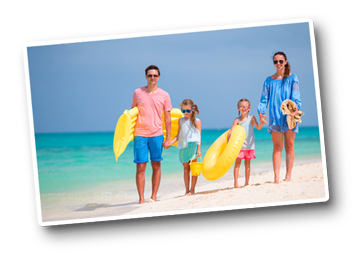 We have the cash you need to plan the perfect vacation! Contact one of our loan officers to get started today. Questions? Give us a call at 972.285.8951 or email Loans@MesquiteCU.org. *Annual Percentage Rate (APR) quoted is lowest possible for qualified borrowers. APR quoted represents up to a 36-month term for a personal loan. Estimated monthly payment of $86.30 per $1,000 borrowed for 12-month term. Your rate may vary. Qualifications based on credit history, debt and ability to repay. Loan amounts $1,000 - $25,000. Refinancing of existing Mesquite Credit Union loan is not permitted.